Sliming Massage (G5), the manual massage by fat dissolving cream along with a regular massage system of G5 machine, helps reducing fat accumulation under skin. The skin will be smoothened and firmed which suits the orange-skin type and partial fat dissolve. Radio Frequency or as call as RF, is the technology which releases light electrical frequency in term of radio frequency during 0.3-0.5 MHz, the megahertz that is considered as safe. It performs by massaging and releasing radio frequency sending through dermis to increase the temperature of a deeper epidermis. This enhances the blood circulation, lymph and body fluid which all stimulates the alteration of inner energy. The body temperature will be risen up but not over 42 degree Celsius. All wastes will be eliminated through sweat. Meso Fat Body, it is the injection with fat-dissolved and cellulite property medicine into any parts where fat is accumulated. It is to dissolve fat and stimulates the fat to be eliminated. Also, it enhances the blood and lymph circulation. The body, therefore, burns and eliminates fat out of the body easily. At this matter, the medicine we use contains the skin firming property also. Building room 204 South Sathon Rd. 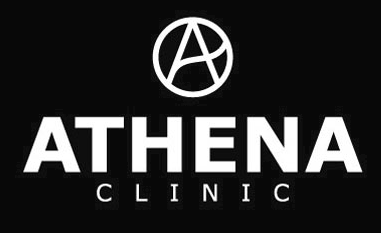 © 2017 Athena Clinic, All Rights Reserved.